You may use our logos for promotional purposes, flyers etc. that include events or activities that include our products. For example, you are advertising an event that includes our beer for sale. You may change the overall proportions as long as you do not distort the original image. If it does not fit your layout, we ask that you change your layout, not our design. The image header above is what we call our "Keg Band" logo. It is the most common logo, and used for poster headers or page headers etc. printed on white or very light colored paper. 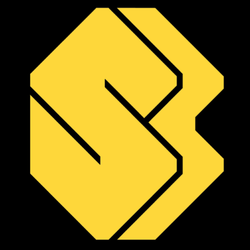 This is our "Yellow SB" logo. It is used on black or very dark background, It is used if "Santiam Brewing" is not identified elsewhere. 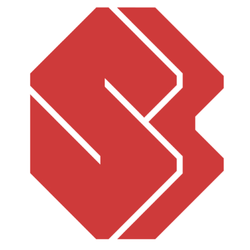 This is our "Red SB" logo. It is used on white or very light background, It is used if "Santiam Brewing" is not identified elsewhere. 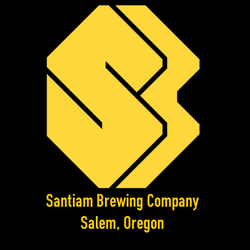 This is the "Yellow SB Only" logo and is used if "Santiam Brewing" is identified elsewhere. 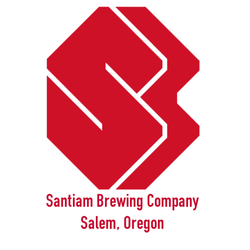 This is the "Red SB Only" logo and is used if "Santiam Brewing" is identified elsewhere. 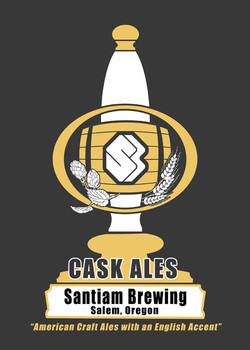 This is the "Cask Ales" logo and is used for an event that features our cask ales products.